I am writing concerning the decision to change frequency allocation of the 3.4 – 3.7 GHz band, the lower C-Band frequency, from FSS (satellite) to mobile service (5G), and the proposed restrictions zones as a possible solution. All international studies with the ITU and field trials conducted by OFCA concluded that the IMT and satellite services cannot co-exist in the same geographical area, and that the IMT operating in 3.4-3.6 MHz will have detrimental effects on satellite reception in the entire 3.4 - 4.2 GHz band. OFCA also recognized that it would create serious problems to co-exist with mobile and satellite services in the same geographical location. In response are two proposed exclusion zones, situated in Tai Po and Stanley earth stations respectively, that would cease mobile base station installations in the area to prevent interference to the C-band satellite operations. Our issue stands, that once the telemetry, tracking and command (“TT&C”) signals show interference from terrestrial mobile communications, links for safe operation and monitoring of the satellites, which is an international obligation under the United Nations Outer Space Treaty, may be lost, possibly causing incalculable loss with a severe impact to international services and agreements. We strongly request OFCA to set a level playing field for all telecom operators, to properly consult the affected satellite operators and consumers in Hong Kong. We also seek further consultation to define reasonable arrangement in this area, and request that mobile operators implement measures to prevent interference to the existing satellite TT&C/monitoring earth stations and SMATV operations when deploying future 5G networks. With 2020 as the timeframe, we suggest looking at different mitigation measures to reduce the interference by mobile operators to satellite services, and to find options beyond the initial proposals. All available technical measures to minimize 5G interference with pre-existing satellite services shall be considered carefully. An exclusion zone may be one feasible measure to mitigate the co-existence of mobile and satellite services, but regarding OFCA’s proposed zone size, the allowable aggregate interference signal level at the earth station front-end receiver from the mobile base stations has far exceeded that of the receiving signal from the satellite. Above all, satellite operators are only concerned about interference (not the size of the exclusion zone) and we could accept any arrangement as long as power transmitting from mobile base stations arrived at earth station receivers was low enough - not to affect satellite reception. Regulating the transmitting power of mobile stations by mobile operators is one fair way to reduce interference, but the only acceptable answer is to study more mitigation proposals in collaboration with entire telecommunications industry. Significant frequencies are required for 5G deployment, and there are frequencies higher than C-band that exist which can deliver higher data rates. Fulfilling the potential for microcell deployment of 5G applications at 3.4 – 3.7 GHz is just one convenient option but the reality is that the entire 3.4 - 4.2 GHz has always been the C-band frequency used by the satellite industry since decades ago. By reallocating portion of it to the mobile operators (i.e. 3.4 - 3.7 GHz), the mobile operator shall bear any cost involved in mitigation of its own interference to other operators. AsiaSat has been in Hong Kong for more than 30 years, and we make great contribution to establish and to promote Hong Kong as a hub for telecommunications services for Asia Pacific region. The C-band frequency for satellite operation in question is not idle. Its heavy use in satellite communications is common, as the critical frequency is unreplaceable to broadcasters facing reliability issues from weather conditions, what many regions with high rain attenuation suffer. The band provides a variety of services for well over two-thirds of the world’s population, including contribution and distribution of TV broadcasting to satellite master antenna televisions (SMATV), television receive-only (TVRO) systems, satellite news gathering, very small aperture terminal (VSAT) networks and broadband internet services. These services bring customers linear and live TV, from news, drama, sports, forums, etc., alongside data and information including meteorological data, maritime/aeronautical related safety, and crucial disaster relief operations. C-band is the major frequency for connecting Hong Kong’s teleports to other continents, and is how satellite operators promote Hong Kong as a hub for telecommunications services in the international market. The wide beams made available by C-band is the only realistic means to interconnect widely separated, remote, or sparsely populated areas. There are further difficulties in Hong Kong, which alone has an estimated 1,600 C-band SMATV systems, 900,000 outlets, and numerous satellite TV receptions mounted on residential buildings and hotel chains, all requiring adjustments, before even considering the international consequence. C-band frequency, specifically in Hong Kong, has been the enabler for television broadcasts of historically significant events, from the Olympic Games to the Hong Kong Handover ceremony, as well as breaking international news such as the Korean presidential impeachment last year. Satellite communications also have the advantage in live sports, where C-band provides the city and the Asia-Pacific region with premier sports leagues from Europe, international athletic games hosted in and featuring Asian countries, and first class live motor-racing and sporting tournaments, including tennis, golf, hockey, swimming, football, cricket and more. World conferences and summits like the World Economic Forum and the Belt and Road Forum are regularly transmitted using these services, and beyond scheduled television programmes, C-band is relied on for distributing information about occurring major natural disasters and data for emergency relief services. The 3.4-3.7 GHz band frequency reallocated to the mobile operators is historically invaluable and technically indispensable frequency resource to satellite services. By reallocation such frequency to the mobile operators without due concern for existing satellite usage, it will be affecting services provided by us to not just Hong Kong, but the entire Asia Pacific region and beyond. AsiaSat could hardly understand how and why one commercial organization could openly propose satellite operators to move its earth stations out its original sites at Tai Po and Stanley. Aside from the fact that it is now difficult, if not impossible, to find a suitable alternative sites in sparely populated areas in Hong Kong, the earth stations are AsiaSat’s property and asset, and we are entitled to use the allocated frequency of free of any interference. 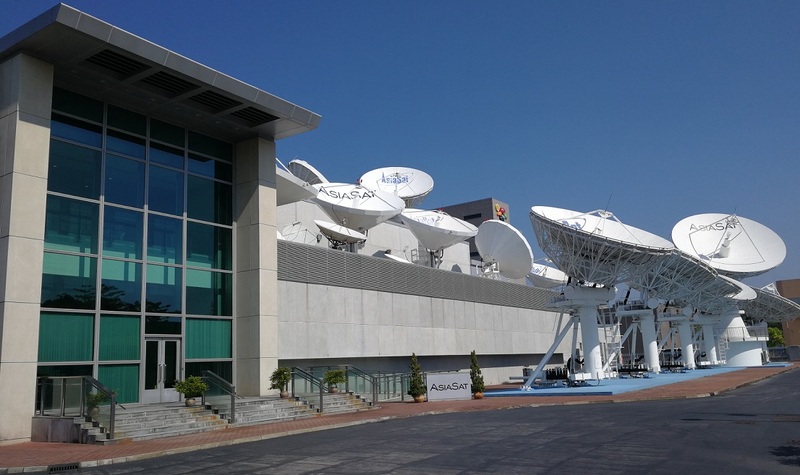 AsiaSat’s total investment at Tai Po Industrial Estate exceeded 58 million USD, and AsiaSat currently operates seven satellites totaling investments that exceed 1 billion USD. Our earth stations were there since 3 decades ago. The two-year transition period is simply unrealistic, if satellite operators and satellite service users are forced to take effective action. 5G communications may indeed need development, but it should be done without expense to the interests of providers and consumers of already existing services. On a final note, AsiaSat abides by OFCA requirements to carry out TT&C under Space Station Carrier License and to monitor the services of their satellite fleet, and as such, all AsiaSat satellites and earth stations have been issued a license from OFCA. These assets need protection as a result, until their end of life usage. Improper reallocation of frequency will have a significantly adverse effect on Hong Kong’s and Greater China’s satellite operators AsiaSat and APT, who are operating satellite control and monitoring earth stations in Hong Kong and providing services globally. Based on the above, AsiaSat deserves the right to continue using the C-band frequency of 3.6 - 4.2 GHz without interference to its earth stations at its current locations.